Akshaye Khanna 5'9" tall, son of Vinod Khanna and Geetanjali was born on 30th March 1975. His brother Rahul Khanna. Akshaye Khanna started his film career with Himalayaputra produced by his father. The film flopped but Akshaye's performance was appreciated and his intense, brooding aura and surprisingly sweet smile have won the audience's attention. He proved his acting abilities by his second film J P Dutta's Border and his role, though a tiny one, won praises for him. He got Lux Zee Cine 'Best Supporting Actor Award' in 1997 for Border and filmfare 'Best Newcomer Award' in 1997 for Border. He also got 'Filmfare Best Supporting Actor Award' in 2002 for Dil Chahta Hai. But after Border again his six years film career has been extremely tumultuous. There was a time when his film career was on the verge of a virtual collapse. But Taal put this talented actor back in the reckoning. Even before he has become a star Akshaye has developed a mystique. In his real life, he's a complete normal guy and an extremely private person. He refuses to let anyone into his private and personal matters and because of this he lacks the media's good graces. Self-belief has been Akshaye's strongest asset. 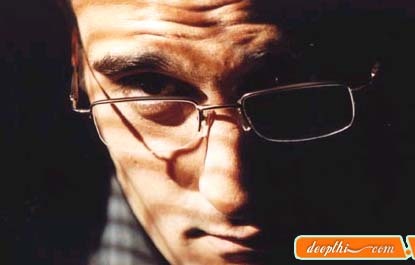 Today Akshaye Khanna is content to concentrate on just one project at a time, instead of rushing from set to set. This talented actor will surely prove himself opposite the establish actress. Hulchul ( Akshaye Khanna, Kareena Kapoor, Paresh Rawal, Jackie Shroff, Arbaaz Khan, Arshad Warsi, Lakshmi), Deewar ( Amitabh Bachchan, Akshaye Khanna, Amrita Rao, Sanjay Dutt), LoC Kargil ( Abhishek Bachchan, Ajay Devgan, Akshaye Khanna, Sanjay Dutt, Saif Ali Khan, Sunil Shetty, Manoj Bajpai, Sanjay Kapoor), Hungama ( Rimi Sen, Akshaye Khanna, Aftab Shivdasani, Paresh Rawal), Deewangee ( Akshaye Khanna, Urmila Matondkar, Ajay Devgan), Humraaz ( Amisha Patel, Bobby Deol, Akshaye Khanna), Love You Hamesha ( Akshaye Khanna, Sonali Bendre), Border ( Sunny Deol, Akshaye Khanna, Sunil Shetty, Jackie Shroff, Pooja Bhatt, Tabu), Dil Chahta Hai ( Aamir Khan, Saif Ali Khan, Akshaye Khanna, Preity Zinta, Dimple Kapadia, Sonali Kulkarni), Taal ( Aishwarya Rai, Akshaye Khanna, Anil Kapoor), Dahek ( Akshaye Khanna, Sonali Bendre).